After Eli confessed to Alicia that he erased Will Gardner’s voicemail professing his love six years prior, the entire Florrick family hit the road to the Iowa caucus…and what a long, strange trip it was. 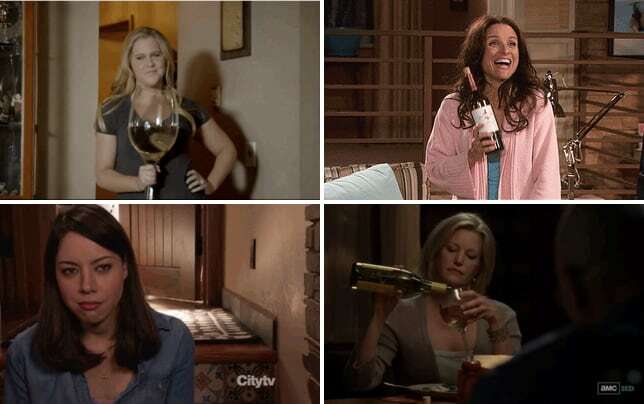 Our TV Fanatics Carissa Pavlica, Elizabeth Harlow and Christine Orlando are here to debate Alicia’s happiness, loose meat sandwiches, the odd romance of Jackie and Howard and who is the real power in the Florrick family after The Good Wife Season 7 Episode 11. Would Alicia still be this desperately unhappy if she had chosen Will instead of Peter? Carissa: Yes. I think it's pretty apparent that Alicia is a desperately unhappy person. She needs to stop letting her happiness hang on other people and find it inside herself. She hasn't been able to do that as of yet. Elizabeth: I disagree. I don't think she'd be blissfully joyous or anything, but she'd be happier than she is now. Of course, I'm assuming that in this hypothetical Will doesn't die. Christine: I do think Alicia has always chosen the status quo or what she thinks she “should” do over taking the big risks, especially when it comes to matters of her heart. The few times I ever remember seeing her look truly happy were probably when she was practicing the law along side Will. Have you ever had a loose meat sandwich? Carissa: No. But I've had chipped ham barbecue, which is a thing here in Pennsylvania. Elizabeth: Nope. I had to Google that actually and it looks...less than appetizing. I'm more of a breaded pork tenderloin girl. Christine: Must be just an Iowa thing. I think the closest I’ve had is BBQ pulled pork, and that’s delicious. Did Cary do the right thing? Does the firm need to ditch Howard? Carissa: Oh God yes. I was so proud of him. And he's right. When a senior partner is allowed to get away with behavior like that, it cascades so that every new associate thinks it's right. Cary was once one of those new associates, and look what it did for him. Elizabeth: I'm not saying that Howard hasn't been problematic over the years, but Cary played some dirty pool with that move. It would have been just as easy to try and convince Howard to back off in order to spend more time with Jackie. Christine: Howard wasn’t going anywhere, I think he’s made that clear. Right or wrong gets pretty fuzzy on this show, but this was Cary’s shot, and he took it. I’m just wondering what kind of retaliation Howard will have in store for him once he finds out. Is Eli right? Is Alicia the one who should run for office? Carissa: Eli is right in that Alicia is the important one in the family, but no, she shouldn't run for office. Yes, she's as messed up as every other politician who runs, but that's hardly reason to run. 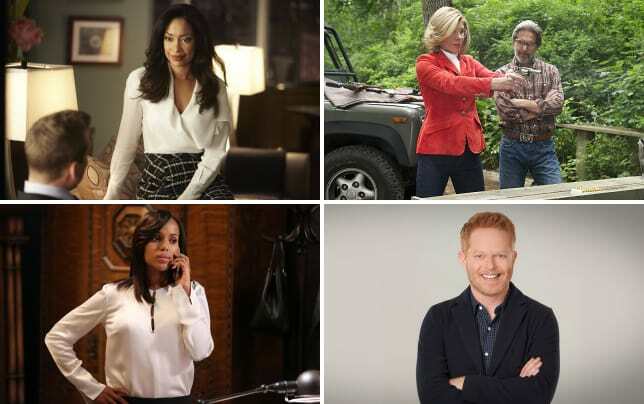 Elizabeth: Alicia should run for office from the perspective that she's smart, ambitious, interested in the issues, and far too savvy to sit back and bite her tongue in the tradition role of politician's wife. Christine: Honestly, I’m not sure what kind of politician Alicia would make. She goes from smart and strong one moment to being played by Peter the next, and it’s hard to tell if she’d be an asset to have in office or simply get bogged down in the games like everyone else. Are Jackie and Howard really in love? Carissa: I'd have to know a lot more about their relationship to make that assessment, and then I'd have to scoop my eyes out with spoons, so I'd rather just leave it as it is now. Elizabeth: I think so. It might have been a little fast, but they both act like they're steps away from the grave, so I guess there's no time to waste. Christine: I’m not sure it’s love, but I think they really care about one another, and they’re at a point in their lives where they know how rare even that can be. It’s odd because they can be both sweet and repulsive all at once. Carissa: I enjoyed Alicia sporting sunglasses the entire time and nobody calling her on it. She was in such a place where they knew if they so much as mentioned the word sunglasses, she'd go off the deep end, so they just let her sit in the dark, no questions asked. Yes, she is the most powerful person in that family. Elizabeth: I really enjoyed that part as well. I liked how the one song was used throughout the episode too. But Alicia snapping out of her grief and into action with the campaign was my favorite. Shipping out election law on the precinct chair like that was a bamf move. Christine: I loved the beginning where Alicia was both breaking down over Eli’s confession and yet still packing and trying to pretend like everything was okay. She has repressed so many of her feelings over the years that I’m not sure she knows how to express them any longer. 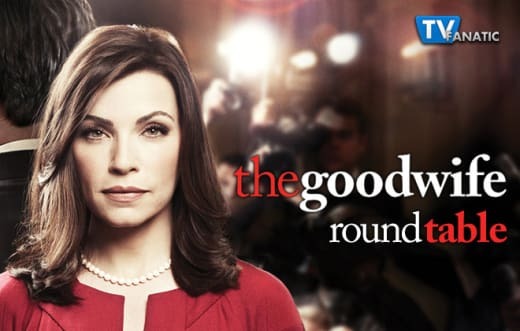 Check back on Sunday for our review of The Good Wife Season 7 Episode 12, and if you can't wait for more, you can watch The Good Wife online here at TV Fanatic.